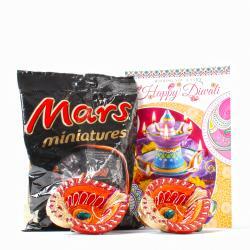 Product Consists : Imported Soray Lavista Chocolate (Weight : 100 gms) in Smiley Mug with Delicious Aam Papad (Weight : 100 gms) in Smiley Bowl along with Pair of Earthen Diyas and Diwali Greeting Card. 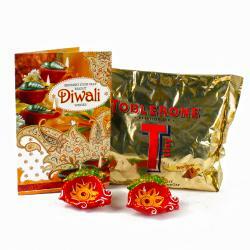 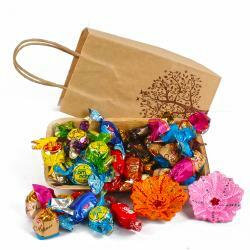 This is a fabulous hamper of treats to make Diwali celebrations of your loved ones special. 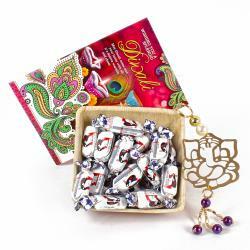 The hamper comprises of Imported Soray Lavista Chocolate Arranged in a Smile Mug it also includes a lip smacking Delicious Aam Papad its really very mouth watering toffee arranged in a Smiley Bowl and Even you can Express your heartfelt wishes for your loved one on the auspicious occasion of Diwali with this appealing greeting card all of these come and makes the hamper all the more appealing. 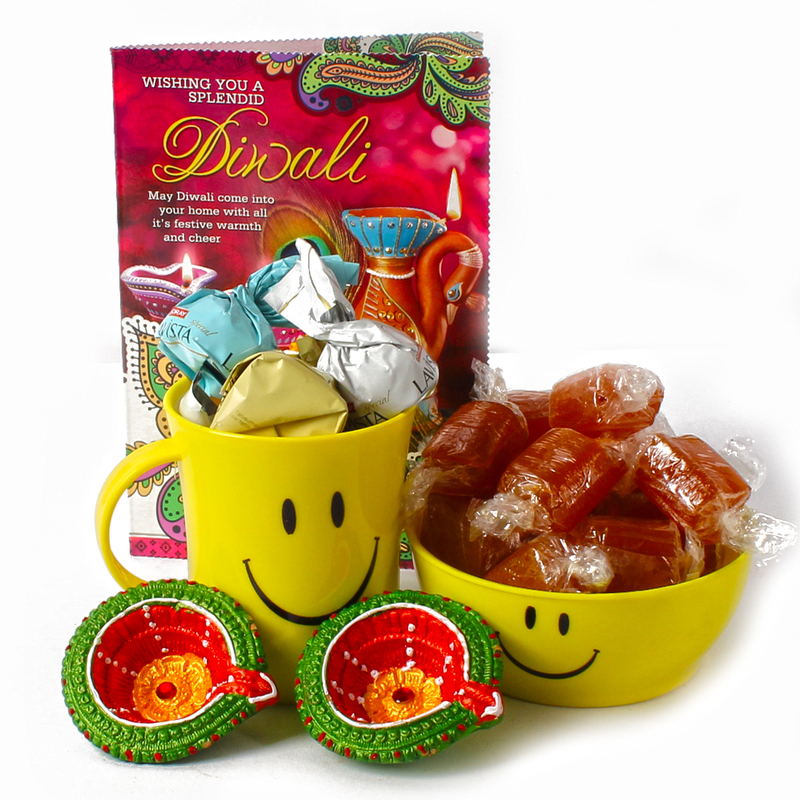 Product Consists : Imported Soray Lavista Chocolate (Weight : 100 gms) in Smiley Mug with Delicious Aam Papad (Weight : 100 gms) in Smiley Bowl along with Pair of Earthen Diyas and Diwali Greeting Card.